The Shard neck knife from D3-Devil Dog Designs is an effective everyday carry fixed blade with a minimal footprint. 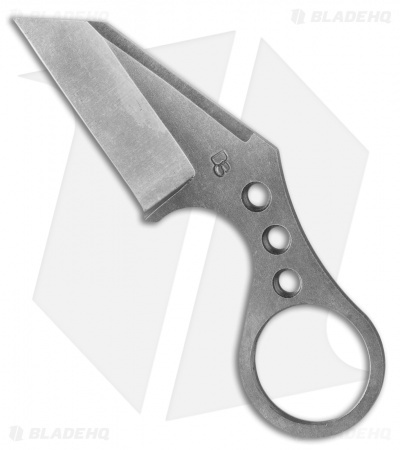 It features an acid stonewashed 52100 steel blade with a hollow chisel grind. 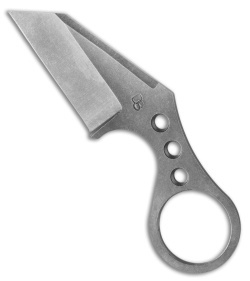 The handle is short, but has a deep finger groove and finger ring to keep the knife secure in hand. 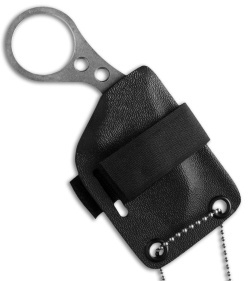 A similarly minimal Kydex sheath is included along with a ball chain and velcro strap.